International Service-Learning (ISL) is a structured service-learning experience in another country where students learn from interaction, cross-cultural dialogue, and reflection. This humanistic pedagogy was utilized at the University of Canterbury after earthquakes rocked Christchurch, New Zealand (NZ) in 2010 and 2011. The present comparative-case study examined United States (US), European Union (EU), and Kiwi students' transformative learning through working together in a university-based ISL course designed around re-building Christchurch. Data were analyzed through the Kiely's (2005) Transformative Service-Learning Model. The findings of this study contribute new elements to the dimension of the model and argue that the concept of global citizenship may better explain a mixed cohort of international students' service-learning experiences in a post-disaster setting. Implications to the study's findings and recommendations for future research are briefly discussed. Natural disasters i.e., tornadoes, floods, earthquakes, hurricanes, cannot be avoided. Their presence and impact have been documented in the literature spanning thousands of years. They affect all socioeconomic statuses, geographic locations, and cultural groups. This reality has been captured by the media during and after Japan’s tsunami, Joplin, Missouri’s tornado, Bangkok’s floods, Hurricane Katrina’s devastation, and Haiti’s and Turkey’s earthquakes. While preparatory measures, local and international volunteer influx, and financial resources can save lives immediately following a disaster, they are not longitudinally sustainable if mere reactive measures. Further, they fail to address the long-term community development, mental health of community members, and economic future of the stricken areas. Specific to this chapter, in 2010 and 2011, Christchurch New Zealand (NZ) was hit by a 7.1 magnitude earthquake and a 6.3 magnitude aftershock, respectively. Over 100,000 buildings were damaged, approximately 185 people died, and USD $25 billion in city revenue lost. In response, 2,000 University of Canterbury (UoC) students in the Student Volunteer Army volunteered 100,000 hours to shovel 600,000 tons of silt. Subsequently, a course was created at the UoC to provide students with opportunities to reflect on, learn from, and earn academic credit for helping to rebuild and serve the local community. Simultaneously, there has been an influx of foreign students to Christchurch to study post-disaster management and community development. As a result, an interdisciplinary faculty team at the university established a Leadership through Community Engagement study abroad program. While service-learning in local communities is notable, it does not offer significant opportunities for participants to see themselves as global citizens nor present a radical enough experience to catalyze transformation in some students (Tonkin & Quiroga, 2004). Likewise, study abroad experiences are often student-centered and focused on academic course completion and social development. Community engagement, particularly with those in need, is not highlighted in many study abroad programs. An amalgamation of these two pedagogies, known as International Service-Learning (ISL), may be best suited to prepare college graduates to be active global citizens in the 21st Century (Bringle & Hatcher, 2010). Research on ISL indicates that students increase in cultural sensitivity and competence (Green, Comer, Elliot, & Neubrander, 2011); report enhanced lifeskills, increased self-confidence, development of a future intent to engage in the community (Eyler, 2001); and, demonstrate personal growth, critical thinking skills, professional development, and an enhanced global perspective and citizenship (Tonkin & Quiroga, 2004). Such transformative outcomes, unsurprisingly, have been linked to reflection (Kiely, 2005), a cornerstone in both study abroad and service-learning. However, the literature has not included a comparison between native and visiting service-learners. 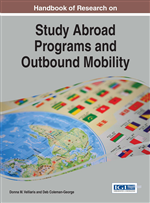 The authors were interested if equivalent transformation may be possible without leaving one’s local communities, or, in other words, if there are value-added elements to a study abroad connection to service-learning. Further, the published research on ISL has failed to consider these phenomena in a post-disaster setting, which may increase learners’ ‘disorientation’ and resultant reflection. Therefore, an investigation comparing international study abroad and local participants’ experiences in a post-disaster service-learning/community engagement program was conducted to fill several gaps in the literature simultaneously. This chapter proceeds in several steps. To begin, an overview of the literature about ISL and transformative-learning is provided. Then, we review this study’s theoretical framework, Kiely’s (2005) Transformative-Learning Model for service-learning. The transformative-learning experiences of native students from NZ (i.e., Kiwi) are then compared to non-native (i.e., non-Kiwi) students from the EU and US as they engaged in post-disaster relief efforts in Christchurch, NZ. Lastly, a discussion along with recommendations for ISL programs and future research are provided. Global Citizenship: The ability to recognize the interconnectedness and humanistic principles across cultures. Volunteerism: Any activity that involves spending unpaid time doing something that aims to benefit individuals or groups other than or in addition to close relatives, or to benefit the environment. Service-Learning: The reflective synthesis of dialectical relations between course objectives and community service. Reflection: An active and deliberative cognitive process involving sequences of interconnected ideas and which takes into consideration underlying beliefs and knowledge in framing and solving a problem. Transformative-Learning: The process by which individuals change their frames of reference, and is composed of values, assumptions, and beliefs one acquires throughout life after experiencing and reflecting deeply upon a disorienting dilemma. International Service-Learning (ISL): ISL combines service-learning, study abroad, and international education into a pedagogy of community and civic engagement that promotes global and intercultural issues. Phenomenology: The study of experience and consciousness, which seeks to understand how people make sense of their experience and to ‘discover’ the essence of a phenomenon. Study Abroad: An academic experience that exposes a student to learning opportunities associated with immersion into dissonant surroundings that challenge their pre-existing paradigms of self and culture. Globalization: The notion of world-scale transactions and connectivity in areas that include the economy, education, technology, and culture and rely on advanced technology and infrastructure that promotes global communication, networking, and knowledge exchange. Natural Disaster: Any event or force of nature that has catastrophic consequences, that overwhelms the capacity of local responses. It may cause widespread loss of life and/or seriously affect social and economic development of a region.